Realty buying decisions can be really tough and take away all the energy and time in the process of finalizing our dream home or an investment destination. And once the decision is arrived and done, it should always culminate as one of the best decisions of our life as we literally give our financial resources, heart, soul, and patience in finalizing that one specific property and it holds quite a lot of importance and significance in our lives along with our family members too. Hence, it is quite important to take each and every step with extra carefulness and with a lot of effort and research as there are quite many factors and details to be considered before arriving at the full and final decision. And to start with, location is one of the main factors that need to be given astute attention as the aspects such as entertainment of the family, social infrastructure, civic facilities, connectivity, and price appreciation of the project depends on the location factor. Then, we need to pay attention to the legacy and brand value of the developer to not to be duped by him as not all of them are fair and authentic in their dealings and construction practices. And once we adhere to both these factors, the rest of the factors follow on an automated mode and we are a few steps away from making the best realty decision of our life. 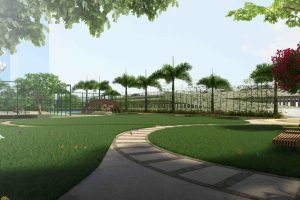 Our project Regency Anantam is touted as the Best Property in Dombivli and the finest project to Buy Property in Dombivli by customers, market experts, brokers, investors, and industry veterans as we have planned and executed the top class amenities and facilities and the location is the best part of the project.